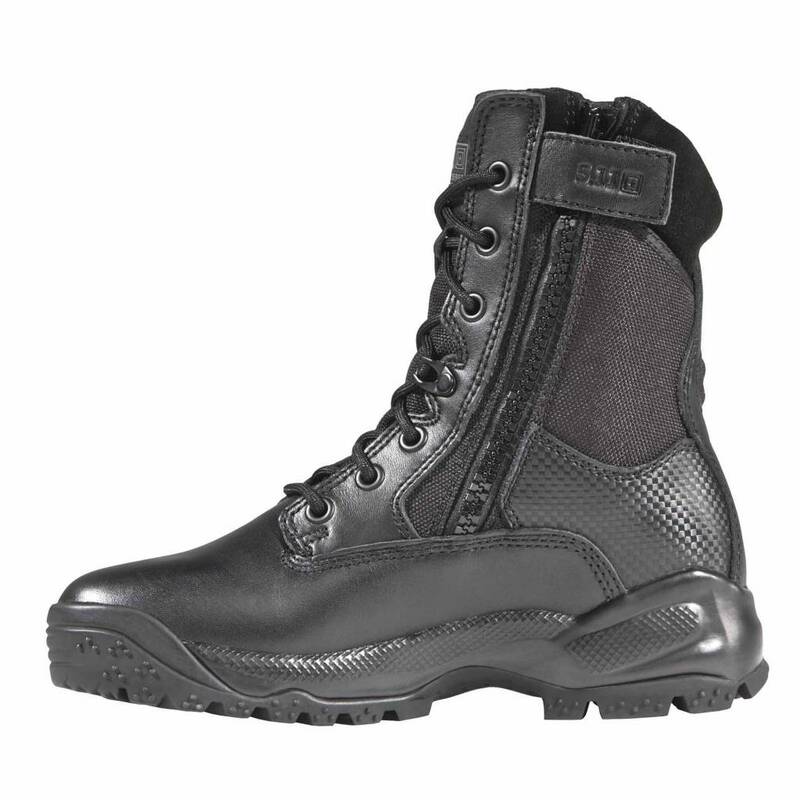 Hands down the best tactical boots for women available on the market, our Women's A.T.A.C.® 8” Side Zip Boot was specifically engineered for female law enforcement, military, and tactical operators. Accelerated side zip access allows quick on and off, minimizing prep time and eliminating the need to lace up or down. 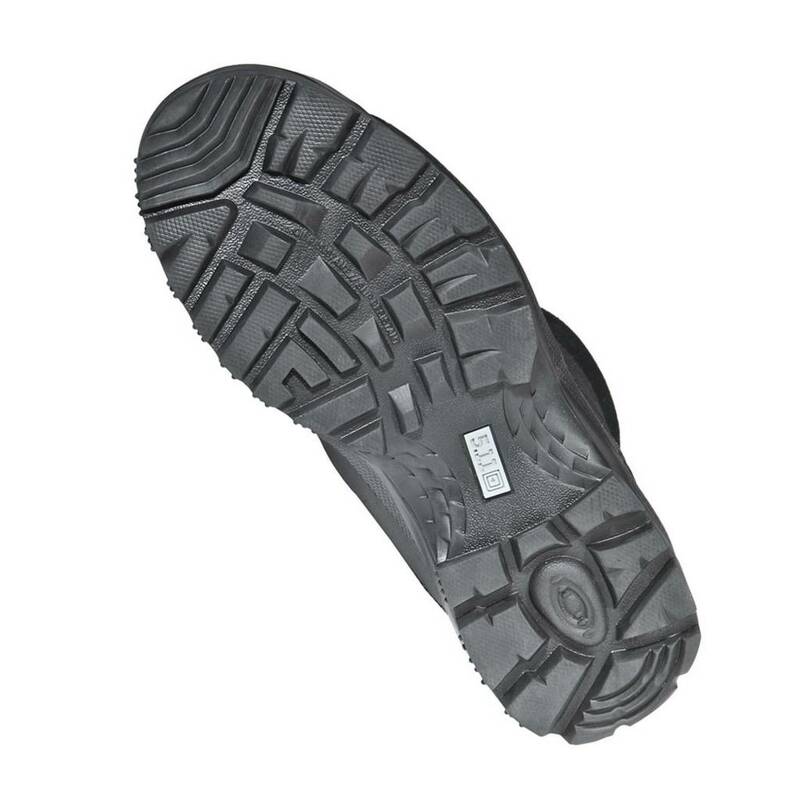 A full grain polished leather toe offers a high-shine, while a rugged nylon upper offers resilience and breathability that stands up to harsh operational environments. 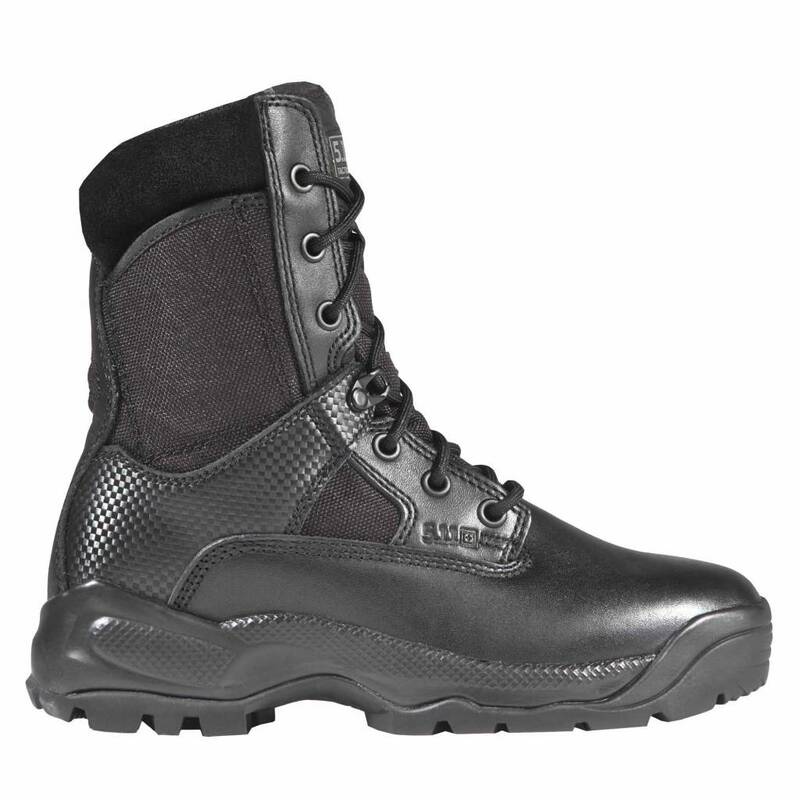 The moisture wicking lining and extensive dual density foam cushioning offer support and comfort, the oil-resistant no-squeak outsole ensures stealth and stability, and a covert side pocket provides added tactical utility. The Women's A.T.A.C. 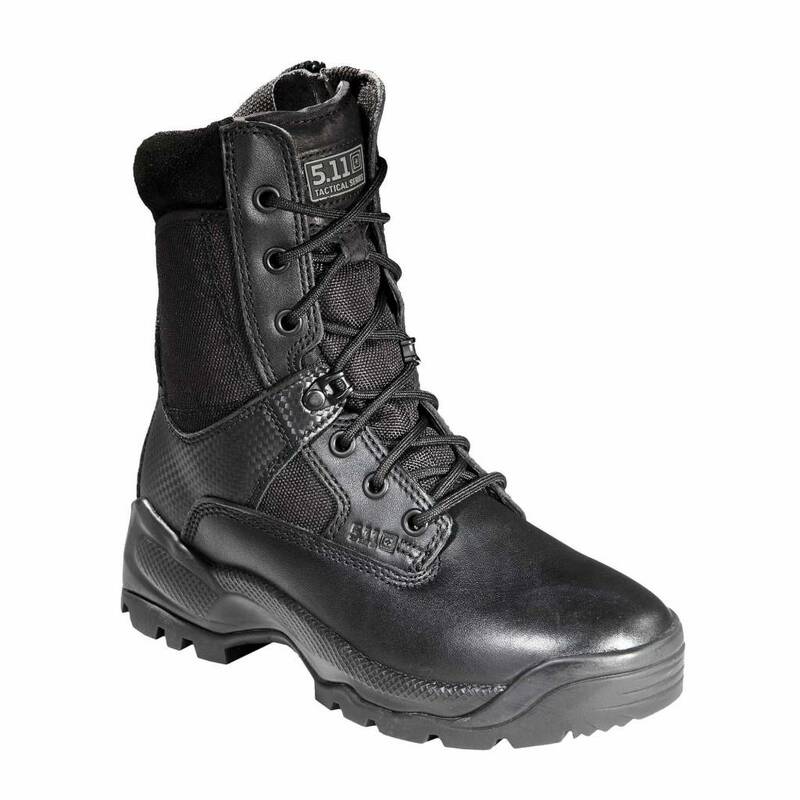 8” Side Zip Boot incorporates our trademark 5.11® Shock Mitigation System® to maximize compression and rebound, increasing your speed, stamina, and traction over any surface.